Buried beneath the avalanche of awesome that were the consecutive reveals of the F-150 Raptor, Shelby GT350R, and GT was the announcement that Ford is updating AppLink to match the recently-announced next generation of SYNC®. 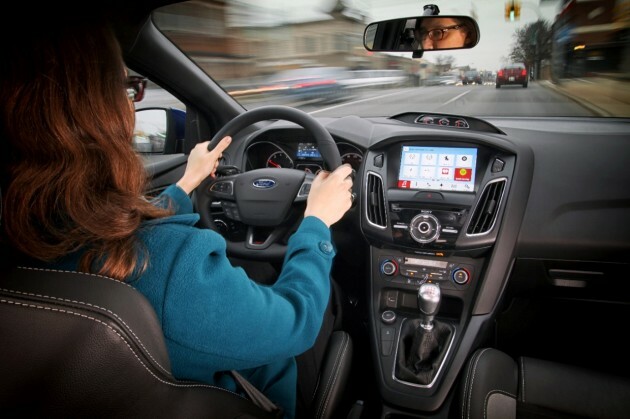 Ford SYNC AppLink 3.0 will enable drivers to access navigation apps on their smartphones through in-vehicle touchscreens. By continuing to contribute to SmartDeviceLink, Genivi’s open-source project that seeks to standardize app development and integration, Ford is able to increase the tech-savviness of its future vehicles. Ford is also teaming with Alibaba to incorporate the Internet service’s map, nav, and music services into its vehicles. This has resulted in Alibaba’s AutoNavi being bolstered by SmartAppLink, enabling its data to be projected touchscreens for easier and safer operation. SYNC 3 will be launched in vehicles forthcoming in 2015, but it will initially include the current version of AppLink until an update to AppLink 3.0 can be applied sometime thereafter.